These annual Championships were held this year in Wales after taking place in the Czech Republic and Austria on the last two occasions. 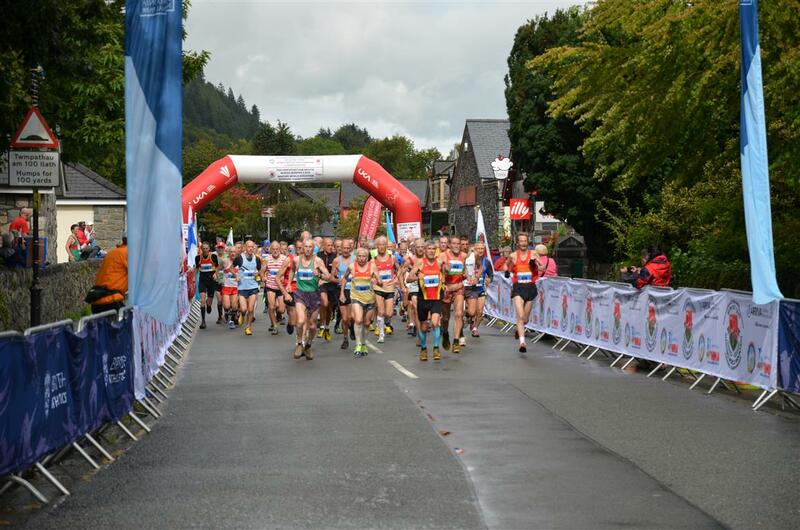 Normally, the courses are uphill only but Wales was offering, as Keswick did in 2005, a testing up and down event, this time run over 8.7 K, with a 450m climb for those 55 and over. Needless to say, it rained heavily the night before the race and there was periodic drizzle as the male over 65’s headed for the hills. This was to the liking of the top GB V65, Ben Grant of Harrogate, who ran a fine race to win by a margin of 42 seconds. Although I could hear footsteps behind I was determined not to be taken in the run-in again and held on to 8th spot in 48.32 just 5 seconds to the good of Blyth from Macclesfield. But I found myself 5th GB and 41 seconds off making the GB top 3, the 3rd berth going to Ken Taylor of Rossendale, whom I had beaten on the uphill course two years’ ago. Behind Ben Grant, an Italian, a German and a Norwegian filled the next places, after whom came the line of 5 Brits. Our ‘B’ team would have got silver ahead of Italy but unfortunately, ‘B’ teams were not eligible for awards. 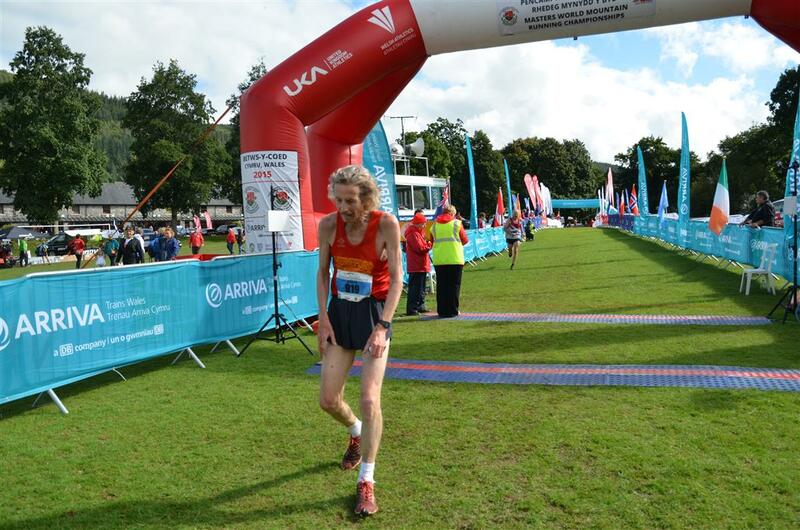 In the V70’s, Guy Whitmarsh of Croft, who finished a great 7th in his age group out of 21, in 54.02, missed out too on silver in this way, as did Sue Davies, who, despite having been injured all summer, was 10th out of 15 in the 10.6 K, 500m climb, V50 event. A 3rd Croftie, Mick Ligema, now professing to prefer triathlon over pure [and I mean, pure] athletics, took 29th in the 8.7K V55 race in 51.19. Another local man, Ed Davies had a fine run in the V60 race, coming home 6th in 44.55, ahead of my old Woodford Green mate, Dave Cox, recent winner of the BMAF road 10K in 36.32. While there was some grumbling about the course, I found it perfectly fair, having the basic ingredients of mountain running, stiff climbs and fast descents. I was only grateful the downhills were not rock-strewn or tussocky! I felt I’d had a good run and was happy to take revenge on Martin Ford, beating him by over 2 minutes after the walloping he had given me in the Lyon half marathon!